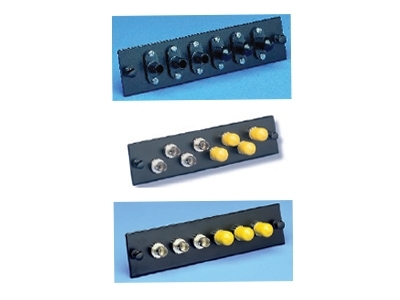 FiberOpticx Adapter Plate - ST to SC - 6 Port Multimode / Singlemode - Composite Sleeve. To accompany all SMP FiberOpticx enclosures, SMP developed snap-in fiber adapter plates that are versatile enough to meet any fiber application and durable enough to withstand field installations. All SMP fiber adapter plates guarantee performance parameters for the application specified and can be pre-loaded into SMP fiber cabinets for easy plug and play operability.